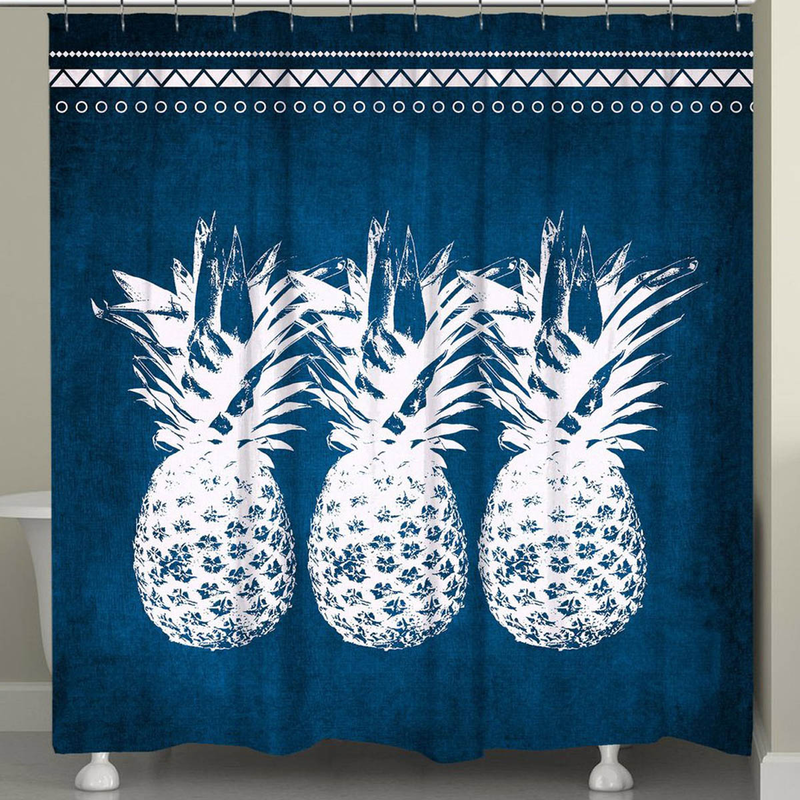 The fun Alabaster Pineapples Shower Curtain features a row of white pineapples standing out against a deep indigo blue background to add a lively accent to any d cor. This beach shower curtain ships from the manufacturer. Allow 1 to 2 weeks. Cannot express ship. For even more options, we encourage you to take some time to shop our thorough variety of beach shower curtains at Bella Coastal Decor now.